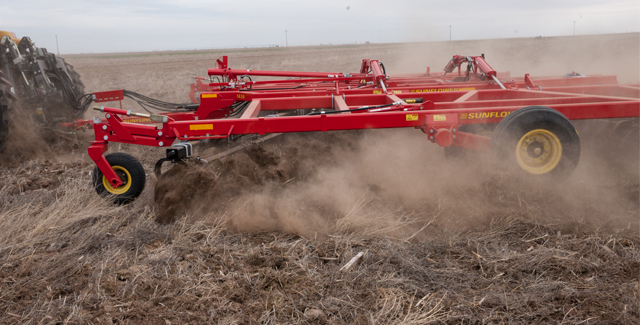 Get the proven edge in tillage performance with Sunflower® tillage tools from Hat Agri-Service. They’re built with patented, innovative features to increase your precision in the field and boost your yields. 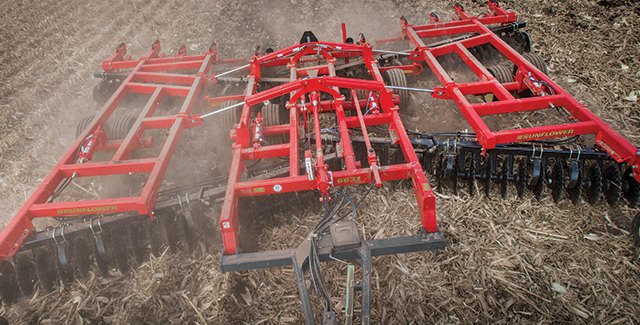 Sunflower vertical tillage tools are a single-pass solution to all of your tillage needs. Experience the exclusive Sunflower Saber Blade, designed to maintain its sharp cutting edge for low-maintenance tillage performance. Sunflower tandem disc harrows are built for unbeatable flexibility in the field and easy, narrow transport. Their impressive pour-per-blade weight helps you easily break through compacted soil and tough residue. 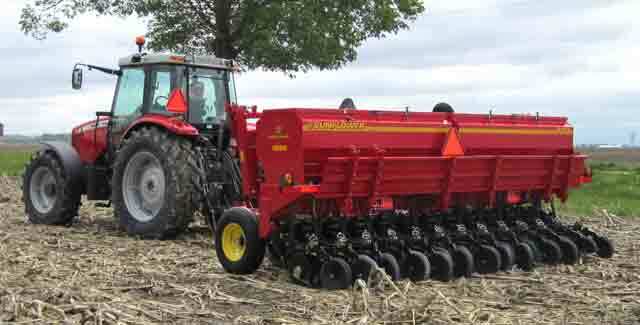 Sunflower grain drills are some of the only mounted, true no-till grain drills on the market today. Easily adjust them from conventional seeding to residue-laden no-till—and convert them to a pull-type with Sunflower’s transport pull hitch.